Friday evening we welcomed a handsome baby boy into our family. We're so in love and thankful for our little one. YAY!!! Cecilia!! He's absolutely GORGEOUS! SO precious! CONGRATULATIONS!!! So so so happy for you, mama!! 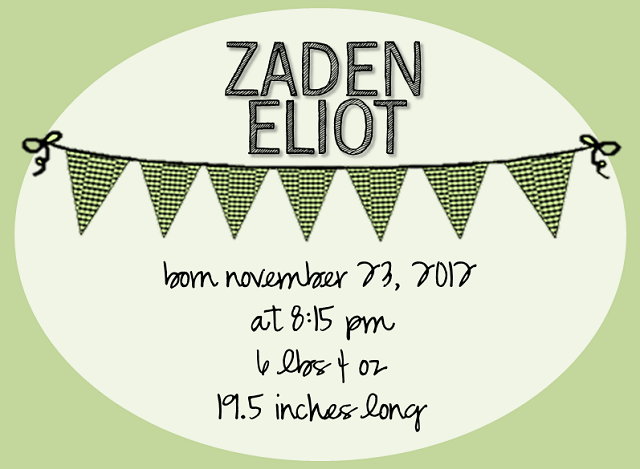 Welcome to the world, Baby Zaden! Congratulations!!! He's absolutely wonderful ♥ I'm so happy for y'all!! Yay! And wow! I'm still always so blown away by how amazing it is.. suddenly there's a new person, right there!! What a beautiful thing! He is gorgeous. I hope you're enjoying these first precious cuddly snuggly days.. Welcome to parenthood, and welcome to this world Zaden. CONGRATULATIONS!!!! HE is gorgeous and such a unique name. So happy for you guys!!! He's gorgeous! What a great Thanksgiving weekend! Best wishes as you transition with the new little one! Hooray! I'm so happy for you. Congratulations on your perfect new baby. Congratulations!!! Cecilia, I am zoo happy for you and your husband! You will be amazing parents!! Love you! I was wondering if you had him yet! Congrats he's darling! And he has the same birthday as me (: congrats mama Cecelia!!! yay yay yay!! Congrats lovely lady, he is so handsome! yay! yay! yay! congratulations on your little boy, lou. and i LOVE the name!! Congrats he is so darling!!!! Hes here!!!! Omg he is absolutely gorgeous and so perfect in every way. A huge congratulations to you and your hubby, I am soooo happy for you both! 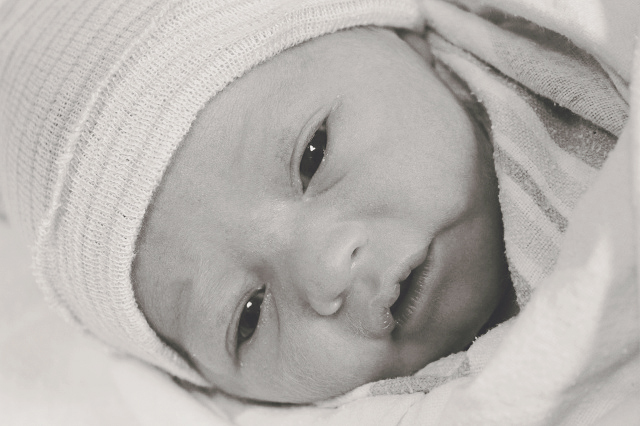 I can't wait to see more photos of your darling little man and hear about your birth experience. CONGRATS on your new little man! Congratulations he is precious. I look forward to hearing your birth story. God Bless. OHMYGOSHCECILIA!!! SO HAPPY FOR YOU!!! Congratulations, you hot mama, you!! Can't wait to hear all about the little guy's entrance into the world. Congrats! What a sweet boy! Can't wait to hear your birth story! i neeeed to see him again. i was hoping maybe tomorrow night? i can't wait for natalie to meet him! congratulations he is so so so so so beautiful! He is perfect!! Congrats again!! he came!!! he's perfect. i'm so happy for you two! SO precious, congrats to you and your hubby! He is beautiful! Awww Congratulations sweetie! Hes so precious and such a beautiful baby!!! Oh my goodness! Yay yay yay! Just did a little happy dance. So happy for both of you that he is finally here. He is so precious, adorable, and wonderful! Enjoy this time. Oh, sweet girl, I am so very happy for you and your little family!!!! :) He's perfect. congrats!!! :) :) so happy for you! Aaaahhh! He is so perfect! I'm so happy for you :) Congrats mama! Oh my goodness, I've been meaning to post - CONGRATULATIONS! What a cutie! He is so, so precious. All my best to you and your husband, and your darling new addition!